Offlate, the fashion trend has been leaning to sleeveless jackets. They are definitely a wardrobe staple right now. They’re comfortable and versatile and can work with your entire wardrobe! They come in classic colours such as black, brown and navy – which are timeless, effortless to style and exude masculinity. Otherwise, if you’re feeling slightly more experimental, choose new-age colours of soft pinks, burgundys, olives to team up and have a unique style. #1 : Print it on. 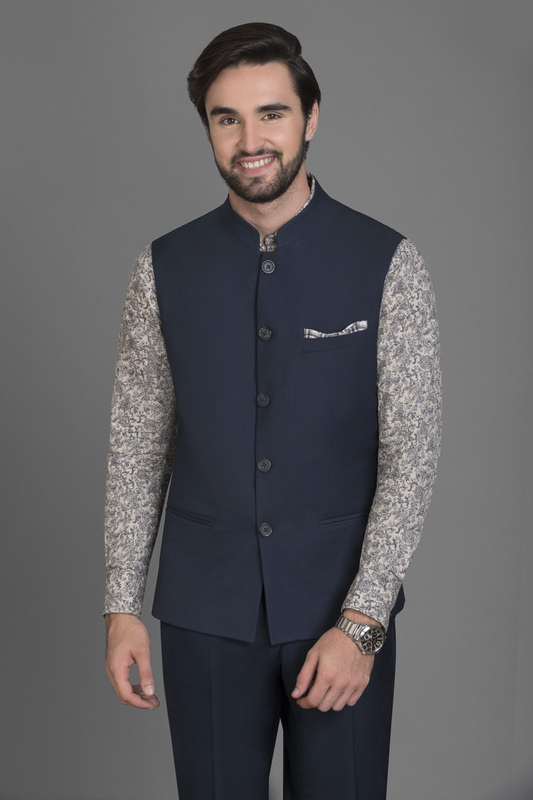 Team a classic solid sleeveless jacket with a floral/abstract printed shirt. Band-collar, full sleeves shirts go best with these jackets. 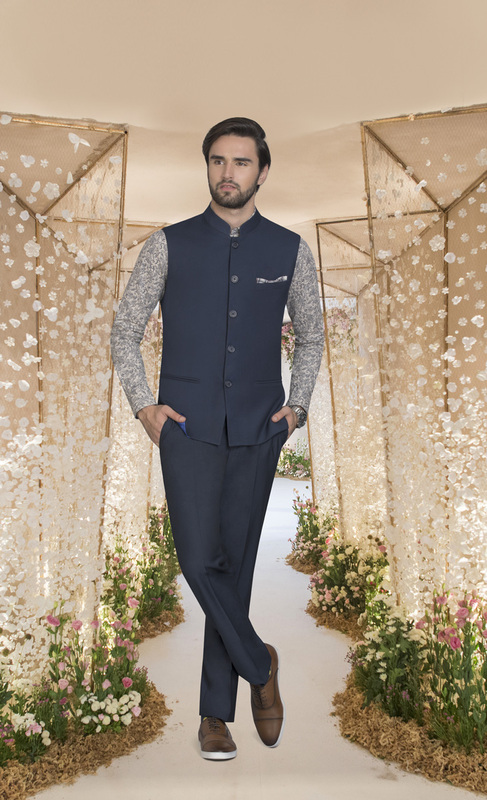 Throw on a pair of tonal chinos, oxfords and a pocket square and you’ve got yourself a super ‘in’ semi-formal look. #2 : Checkmate. A great option would be a checked bandhgala. Opt for a crisp white band-collar shirt and a pop-coloured pocket square. Team it up with black formal pants and lace-up oxford shoes. It’s a great look for a business meeting. #3 : Vested interests. A great trend is a lapel on the sleeveless jacket. Choose a royal/ rich colour and team it up with a black shirt and black jeans. Add a paisley pocket square to really add some panache to the look. Find jacketing fabrics at irresistible prices at a store near you (store locator link). You’ll truly be spoilt for choice!